A recent LA Times article elucidated how investors are buying up old apartment buildings in Long Beach, evicting current tenants, doing some refurbishing and then doubling the rent for new tenants. These older units had been renting for about $800. a month. There are seniors living there on fixed incomes who can barely pay $800. Nevertheless, it's an investment opportunity for investors in a white hot California housing market. Rents are skyrocketing, and tenants can easily be removed with a 60 day notice because there's no rent control in Long Beach. Life at The Driftwood apartments was far from perfect. Tenants said the plumbing was prone to leaks and once in a while a cockroach might scamper through the kitchen. But rent, at $800 or less a month, was doable. And the cream-colored building on Pacific Avenue in Long Beach held special memories. The ad said it was a “unique” investment opportunity with rents about 30% below market — the clear implication there was plenty of room to hike. Orange County investors purchased the property in May 2017, and in January, a firm they hired, Beach Front Property Management, told all residents they had 60 days to leave. A week later, Beach Front followed with the same notices at another property just two blocks away, and the clock started ticking on what advocates say is an increasingly common crisis for California renters: a mass eviction. Driven by a white-hot real estate market, investors are snatching up older apartment buildings and clearing out tenants to renovate units and re-market them at sometimes double the rent. Other times, buildings are leveled to build pricier apartments or condos. Displaced residents must find more expensive lodgings — if they can. 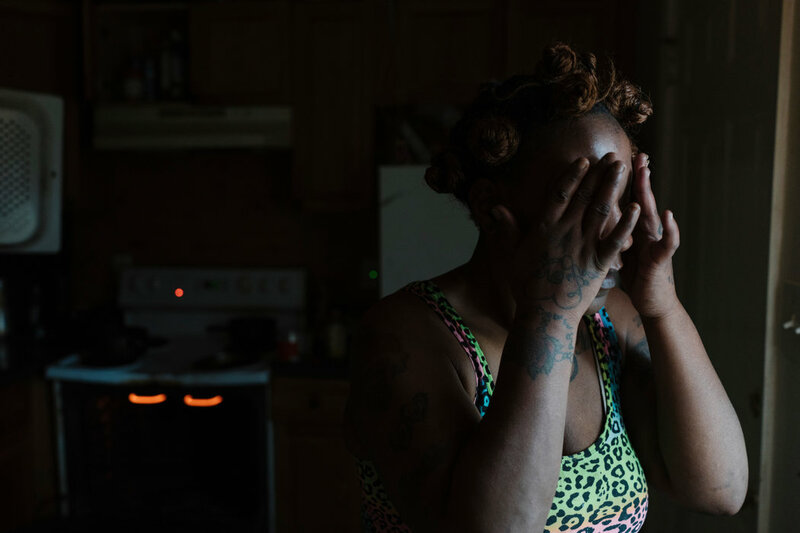 For the dozens of people living at The Driftwood and the unnamed 26-unit complex on Cedar Avenue, the drama played out over the next six months in scenes of quiet desperation and public pleas. Emotions of the residents — who include seniors on Social Security, blue-collar workers and college students — could swing from helplessness to anger in the course of a day. I’Esha Caldwell, 35, who works as an account manager and hair extension specialist, said her blood pressure skyrocketed when she discovered the eviction notice on her door. Neighbor Victor Chacon, 81, and his wife Marlene, 69, who live on fixed incomes, say they can’t sleep and Victor’s heart problems have worsened. For Harvey and her daughter, the notice tipped a precarious existence into acute crisis. The 58-year-old cancer survivor struggles with the effects of a stroke, lung disease, diabetes and chronic back pain. Unable to work, she sometimes uses a walker and relies on disability payments of about $911 a month. That makes it a constant challenge to pay the monthly $750 for a one-bedroom with worn brown carpet that smells of their two dogs. Chadwick has tried to help. But the recent high school graduate said applications for retail jobs turned into dead ends. Finding another home after their 19 years at The Driftwood looked impossible: In early June, Zillow advertised only three non-subsidized rentals in all of L.A. County for less than $800 — all studios or single rooms. “We are going to be homeless,” Harvey said, tearing up as she sat on the stairs leading to her apartment. This is exactly why homelessness is skyrocketing in California. Rents have become unreasonably high. People just can't afford them, and homelessness is the only alternative. For people living paycheck to paycheck it is impossible to come up with first and last month rent plus security deposit when they are forced out of their current rental situation. Rent control in any meaningful way is probably not going to happen. Even if it did, a whole lot of people would not be able to afford the initial rent even if it did not go up. The only solution is government supported housing or public housing, but politicians and taxpayers are loathe to set aside any money for that unless it's a tourist town and the amount of homelessness starts to overwhelm the tourists. Then business interests might do something. Maybe it will be a coalition of businessmen and billionaires that will solve the problem. In the meantime people are forced out onto the streets or are trying to live in their cars despite city ordinances against that. In a dramatic shift, the San Diego City Council voted 6-3 Monday to allow only residents who live in homes in San Diego to rent them out to visitors up to six months every year. Councilmen David Alvarez, Chris Cate and Scott Sherman voted no. 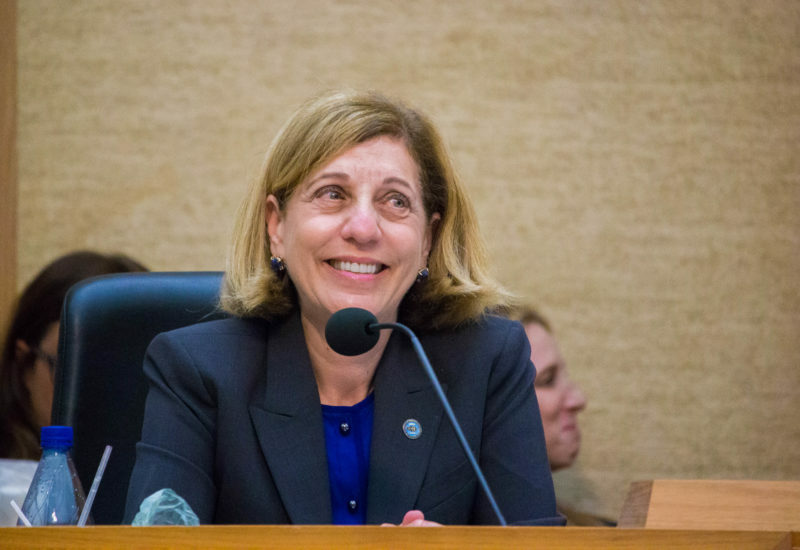 It was a huge win for Councilwoman Barbara Bry, who first proposed a framework like this last year but got very little support from colleagues, besides Councilwoman Lorie Zapf. The tide changed with Councilman Chris Ward’s decision last week to switch his long-held more liberal position on the matter. Ward recommended that residents with accessory dwelling units, aka granny flats, should also be able to rent those out. That will have to come up later. The Council rejected a carve-out for Mission Beach. And existing Mission Beach vacation rentals were not grandfathered in. The Council decisively rejected Mayor Kevin Faulconer’s proposal that people be allowed to rent out their own place plus one other. Faulconer had also proposed the Mission Beach carve-out. The policy vastly changes what someone has to go through to rent out a home they own to visitors. Unless they find a loophole, it will eliminate all vacation rentals owned as second homes or investment properties. Councilman Chris Cate said, in a written statement, a compromise would have provided resources to regulate the industry. “Instead, the Council chose a path that is not only unenforceable and subject to legal challenge, but would drive the activity underground, resulting in the loss in millions of dollars in revenue that funds public safety officers and the repairing of city streets,” he wrote. The losers: HomeAway, one of the platforms people use to rent out to visitors, said in a written statement it was “extremely disappointed” and hinted it may consider legal action. Former City Attorney Jan Goldsmith, who was hired by vacation rental advocates to review the proposed regulations, argued Monday the city could face a fight in court over its decision to treat people with second homes in San Diego differently than those who spend more of the year here. The Constitution requires that all people be treated the same. Elliott had previously raised similar concerns and recently reiterated some of them. Deputy City Attorney Shannon Thomas has said the City Council can apply different regulations to people but it must describe a legitimate purpose for doing so. Last hurdle: The new vacation rental rules could face another major roadblock too. The California Coastal Commission, which has rejected multiple cities’ regulations, could take issue with a measure that significantly curtails rentals along the coast. The San Diego Union reports on July 26, Section C, that the median home price in San Diego County increased 9.8% in the last year to $543,500. And yet the Consumer Price Index did not reflect this? Why? Simple answer. Home prices are not considered in the CPI. But rents are, and rents have gone through the roof. Asset inflation like real estate and the stock market which are both bubbles at this point are not considered. So why hasn't the astronomical increase in rents, which has exacerbated the homeless and affordable housing problems, not indicated to the Fed that there is indeed inflation going on? Maybe because the huge coastal rent increases in California are balanced out by lower rents and housing prices inland. Could be. The Fed keeping interest rates low does not mean that consumers are getting a break. It means that banks are being charged low interest rates while at the same time they are bilking consumers and making a healthy profit off of the spread. It also means that interest on the national debt which is ginormous is less than what it would be if interest rates set by the Fed go up. It also means that seniors on social security will not get a cost of living increase because consumer prices supposedly have not gone up. So banks and hedge funds, many of them associated with banks, can borrow money at essentially zero interest while at the same time paying no interest on savings accounts, but charging huge interest rates on credit cards and student loans. The Fed keeping interest rates low has little if any benefit to the average consumer while at the same time savers, who are mostly seniors, get nothing on their savings accounts.